Tom Normandeau works with owner operators on their personal injury and downtime claims. 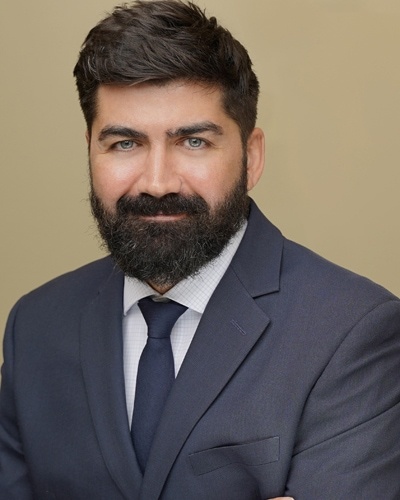 He has extensive litigation and case management experience and enjoys the hands-on approach to helping clients through each step of their claims. Tom was raised in New York and Florida and has practiced law since 2012. He lives in Florida, representing clients across the United States. Over the years, Tom has gained extensive litigation and investigative experience in various types of personal injury cases. Tom has also successfully represented businesses in commercial arbitration and debt collection proceedings. Tom’s experiences at FTI Consulting and Pangea3 have given him insight into business litigation and corporate compliance matters. Tom graduated from the University of South Florida and Florida State University School of Law. He is a member of the Florida Bar. By submitting this form, you are consenting to receive marketing emails from: Eckert & Associates, P.A. Unsubscribe anytime. Legal disclaimer: Eckert & Associates, P.A. does not guarantee the confidentiality of any communications sent by e-mail or through its website, or left in voicemail messages on firm telephones. Unsolicited information and material may not be treated as confidential and will not be protected by an attorney-client privilege and may be unsecured. Accessing or using this website does not create an attorney-client relationship. Although the use of the website may facilitate access to or communications with member of Eckert & Associates, P.A. by email or voicemail, receipt of any such communications or transmissions by any member of Eckert & Associates, P.A. does not create an attorney-client relationship, unless our firm formally agrees to represent you in writing.